Have you ever wished you could clone yourself, so you could be at three different properties simultaneously? No doubt, you’re being pulled in a thousand directions all day long. There’s a lot to juggle when you’re a landlord, particularly if you own more than one property. Fortunately, the technology we have access to today can really help streamline your business, saving you time and money in the long-run. So, let’s take a look at a few technological inspirations that can really drive improvement in your rental property business. The days of hardcopy paper forms are long gone. Paper applications are wrought with inherent problems, including sloppy handwriting, human error upon entry into computer systems, and never-ending redundancy because they have to be filled out, filed, copied, and stapled a thousand times. Not only are paper forms a problem for the people who have to find space to file them, they scare renters away. 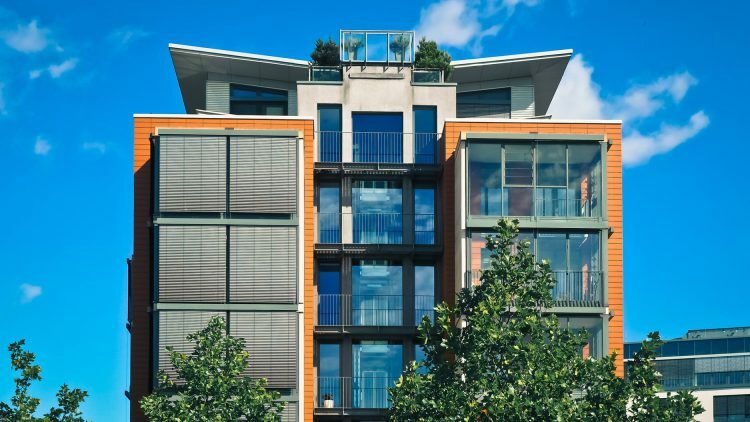 By setting up customized criteria, your property management software will automatically flag ideal renters, eliminating the need for your team to manually sift through dozens of applications in hopes of finding The One. Where do you find potential renters? They’re playing around on social media marketing, which means you should be, too. If you want to attract a solid base of potential suitors, you have to be seen where they hang out. Great rental management software enables you to leverage the contact information you obtain from landing pages and social interactions, so you can craft content that’s specifically created to meet your audience’s needs. You can easily automate social media and email blasts to engage with the right people, right when they’re most likely to be interested in what you have to say. It wasn’t too long ago that landlords didn’t have the ability to pull up necessary documents at the click of a mouse. How things have changed! Now, instead of toting a heavy, paper-filled bag everywhere they go (and hoping they’ve grabbed the right paperwork), landlords can simply go into their cloud storage, access the applicable documents and send them to their tenants. If you’re having a conversation about renewing a lease or speaking with tenants who may not be abiding by the rules and regulations set in place, you can quickly retrieve the signed leases where they agreed to your terms, by accessing your cloud storage. Cloud storage also gives you peace of mind. No matter what natural disasters or unfortunate events may occur, your business’s vital documents are safe and secure. As mentioned above, today’s tenants require easy access to the tools that empower their lifestyles. They want to be able to take care of essential tasks on their own time. Above anything else, they want to be able to pay their bills online. There are a lot of people who don’t even check their mailboxes anymore, and if you’re requiring rental payments via old-school checks, you’re turning away great tenants before they even see your space. Besides the convenience you’re offering tenants with online bill pay, you’re saving yourself a ton of work. Why not be a little selfish while saving someone else unnecessary frustrations? Online bill payment options enable your tenants to pay their rent at their convenience, without inconveniencing you. With this type of system in place, your team won’t be inundated with unexpected calls, and you can more easily manage the workflow, based on the priority of the requests. Collecting rent, keeping track of outstanding debts, and preparing for tax season can really be a nightmare if you’re not prepared. A great accounting software will fill in the missing pieces and alert you when you need to notify tenants of past-due rent. Spreadsheets simply don’t have the power to give you everything you need to ensure tax compliance, account for outstanding payments, and factor in late payment penalties appropriately. Being a landlord can often be a tough task, but when you have the right tools in place, it’s also a very rewarding position. Don’t find yourself in a situation where you feel alone and feel like vacant properties and endless maintenance tasks are wearing you down. Reach out to a professional property management company that will alleviate the stresses of being a landlord so you can simply enjoy your ROI.